If you need to decorate ALL color garments quick – then SLAM is what you need. For light and dark cotton, polyester, wool, nylon, silk and whole LOT more. 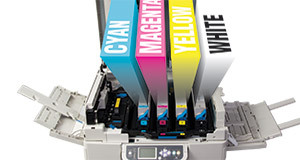 The U-Print YouTube channel is updated regularly with great videos – so check back often.